Back in the day when AM was king, no expense was spared on transmitting equipment. 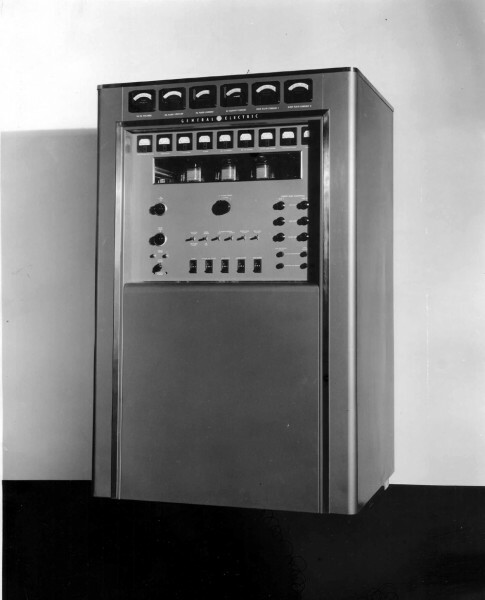 I remember the GE BTA-25 transmitter from the same era, it was build like a tank. 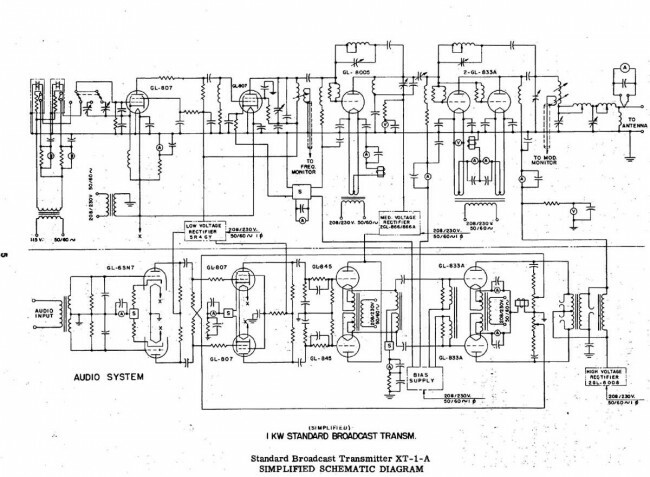 Once, while we were repairing the Harris MW-50A main transmitter, the old GE burped, sputtered and threw an IPA overload, then returned to air. I looked in the IPA cabinet and found a mica capacitor had been blown in half. It was in the tuning circuit, but apparently there was still enough capacitance in the circuit for the transmitter to keep running. Like other 1 KW AM transmitter designs, this unit uses the venerable 833A triode. There are some advantages of this tube, as extra circuits for PA stage neutralization are not needed. The full sales brochure can be found here (medium sized .pdf). These were manufactured in Syracuse, NY. The asking price in 1948 was $8.730.00, tax and shipping extra.